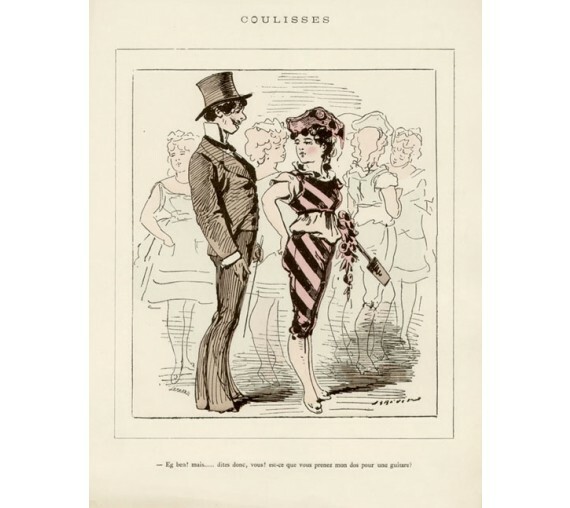 Lithograph, originally published in the French magazine 'Petit Journal pour Rire'. 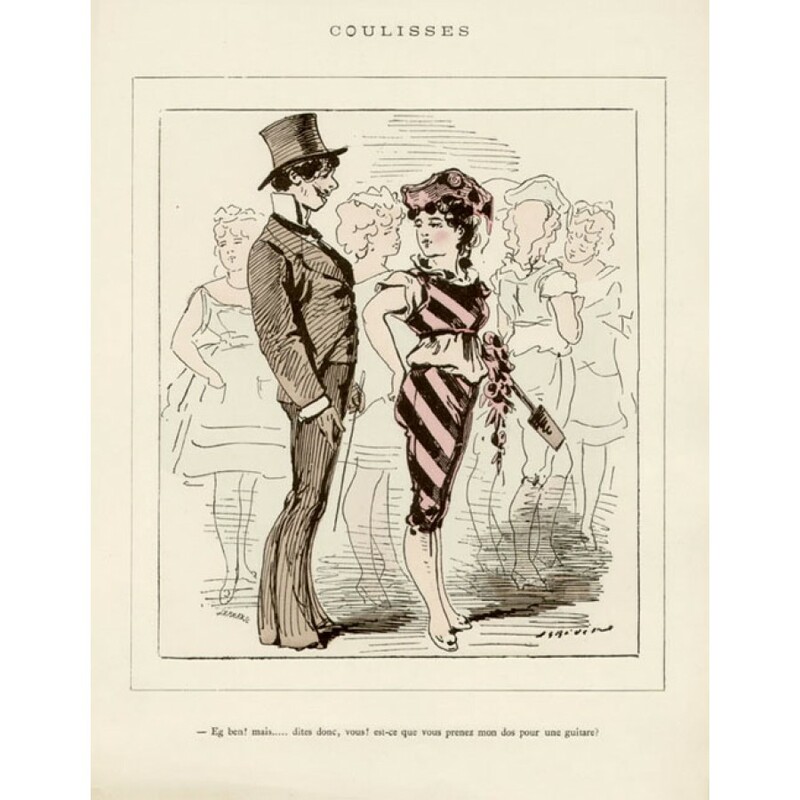 Alfred Grevin was a French caricaturist and sculptor. 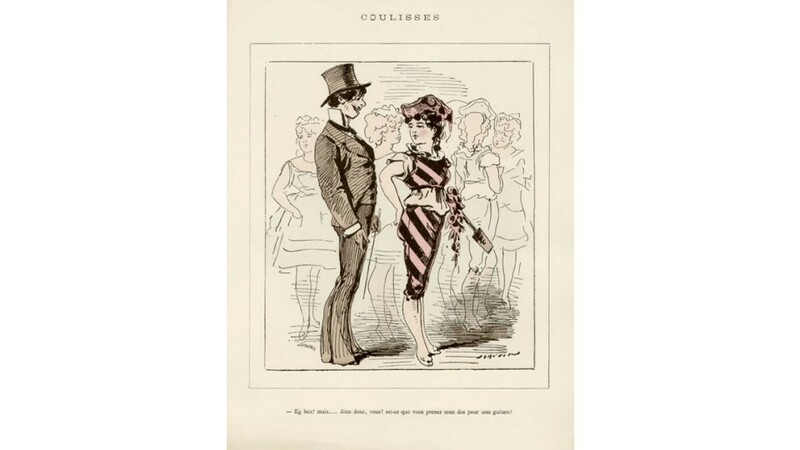 'Coulisses' refers to the backstage of a theatre.